After reading through numerous webpages and books, the best way to mordant cotton, linen, and hemp is to use aluminum acetate. But in order to get aluminum acetate to stick to your plant-based fiber, you need to treat it with tannin first. The pioneers used gallnuts. Tea or walnut would work, but to avoid the brown coloration, pomegranate rinds apparently work well. I don't have a pomegranate grove in the backyard (more's the pity). I was thinking after raspberry season, when I cut the bushes back, that might be an option. It will add a gray tint but not as bad as tea. I am preparing a wishlist of mordants I need to restock. There are a lot of projects I'd love to try but lack of funding is holding me back. I need to reorder hemp yarn, hemp fabric, wool yarn, and raw silk yarn. I'm still looking for a good source of raw silk fabric, not in an upholstery weight either. Too many sites offer that. My quest for mordanting fabric is so I can get colors other than black and white. While black, white and rust are fine things, I do not have a ready source of eucalyptus to get orange tones or other colors. 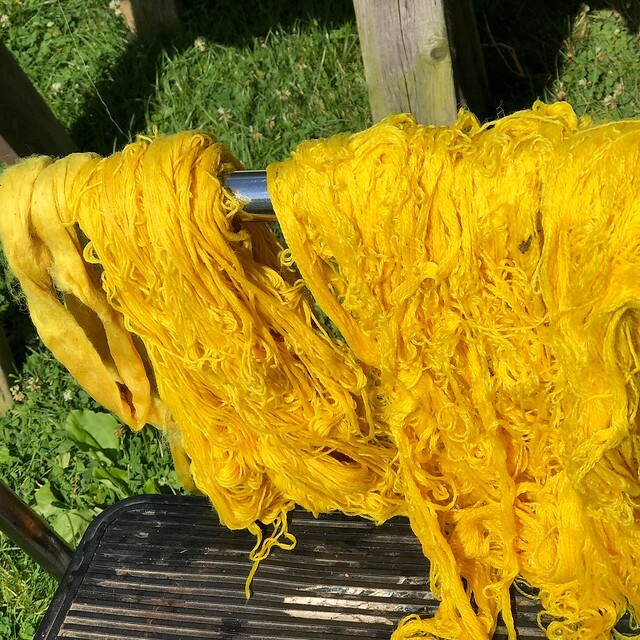 As I ready dyebaths for my wool, why not throw in cotton scraps as well to see what I can get? 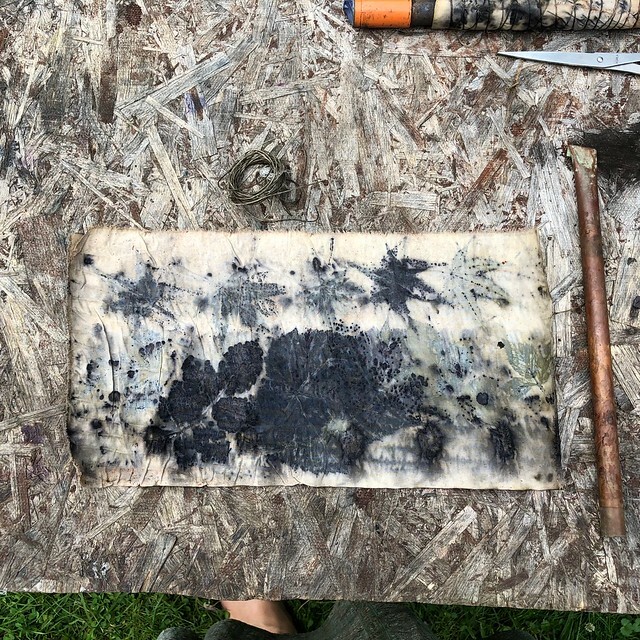 A proper mordant would go a long way. It would allow me to develop as an artist and try some production art pieces, wearable art, or even bags. I'm looking to grow in my field. I think eco-friendly clothing is the right thing to do.